Paracetamol was introduced on the market in 1893 and has since then grown into the most widely used pain and fever-reducing drug in the world. Doctors always first prescribe Paracetamol before recommending other painkillers because it has few side effects and is well tolerated. It is also suited for use in children and pregnant women. Paracetamol is available without a prescription. Paracetamol blocks the transmission of pain signals, inhibiting them from reaching the brain. As a result, the pain subsides and becomes more manageable. Paracetamol takes about half an hour to become effective and generally provides six hours of relief. Paracetamol suppositories take about an hour to work. Paracetamol is available in various strengths and forms, as tablets, suppositories, effervescent tablets, chewable tablets, meltlets, oral solution and powder. The suppositories and oral solution are ideal for use in children. The chewable tablets and meltlets dissolve in the mouth without the need to use water, so you can take them anywhere. Depending on your needs, there is likely to be a type of Paracetamol to suit. For instructions on how to use this painkiller, please refer to the package leaflet. Children aged 12 to 15: 500 mg four to six times a day. Children aged 9 to 12: 500 mg three to four times a day. Leave at least four hours between doses. Children under the age of nine should be given suppositories, oral solution or chewable tablets of a lower dose, for example 120 mg or 240 mg. Consult your doctor for more information. Always follow the recommended dosage and read the package leaflet carefully before taking this medicine. Headache (often with excessive use, causing the body to become dependent on it). Do not use this medicine if you are allergic to the active substance Paracetamol or any other of its ingredients. Paracetamol should be used with caution if your alcohol consumption is excessive or if you have a liver or kidney condition. For more information about contraindications and warnings, please consult the package leaflet. 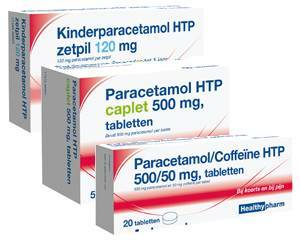 Paracetamol is safe to use by pregnant women and nursing mothers, provided the maximum dose is not exceeded. Consult a doctor if you plan on taking this painkiller for an extended period of time. It is recommended that you avoid drinking alcohol while taking Paracetamol. If your alcohol intake is excessive, do not take more than 2000 mg of Paracetamol a day.